A writer can easily be overwhelmed by all the well-meaning advice given by experts, industry professionals and even other authors. The reason for this is that every single writer is in a different place and has to figure out their own position and point of view with which to boil down all the information into intelligence (useable information). Closely monitoring the publishing business I see many different paths and approaches suggested to aspiring authors regarding everything from writing the book to publishing the book to promoting and building platform and brand. It’s a very confusing time for publishing in general and many authors are finding themselves caught in the crossfire. There’s a lot of advice out there, much of it contradicting other advice. 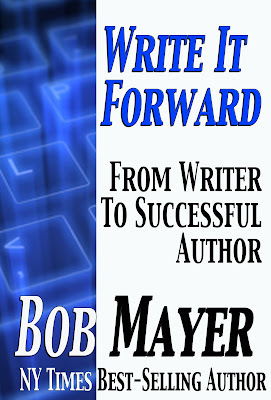 My Write It Forward program focuses on the author. As part of that, I’m going to sort this out for you with a template you can use to determine your own personal career path. There’s a simple reason for all the conflicting advice: no two authors are exactly the same. We all approach our careers with different goals. How we define those goals play a key role in the questions we need to ask ourselves up front. Do I want traditional publishing? Is self-publishing a viable option for me personally? What other options are there? Or should I pack up and go home? Making an educated decision on our publishing path leads the author into this mass confusion of varying opinions on the subject. In an effort to bring some clarity to the issue, I offer up three variables and examine how they affect the way a writer should view getting published and, more importantly, their writing career. Platform: Name recognition is what people think of, but there’s more to platform than that. Are you an expert in your field? Do you have a special background that makes you unique? Everyone has some sort of platform, even if it’s just your emotions, exemplified by Johnny Cash in Walk The Line, mining his anger into art. I use the film clip of his audition at the beginning of my Write It Forward workshop, book and presentation, and show how quickly he changed from being completely rejected, mined his ‘platform’, changed and was on his way to becoming a star. All within three minutes. So don’t get close-minded on platform. However, for traditional publishers, they immediately are looking at name recognition (brand) and ability to reach a market (which ties into promoting). However, with the explosion of eBooks, there are other paths to take. 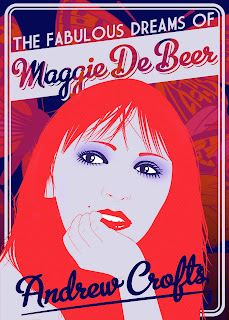 After 20 years in traditional publishing I went 100% indie at the beginning of this year. I sold 347 eBooks in January. I’m currently selling over 100,000 eBooks a month. In September I hit #2 overall bestseller on Nook with a brand new title, The Jefferson Allegiance. I’ve really changed my views on how to approach getting published and blog about it consistently at Write It Forward. Product: The book. Yes, you need a book. This is your content. Most authors become totally fixated on content, while ignoring platform and promotion. Do so at your peril. My Area 51 books sold over a million copies in mass market paperback. What I’ve found is eBook sales are almost opposite traditional sales. In print, you have to explode out the gate. With eBooks you can start slow, and slowly build as more readers find you and the eBook is always available. Promotion: The ability to do it. The access to promotional outlets. Unique hook or angle that gets attention. The ability to be consistent which is the #1 trait I’ve learned counts in promoting. If you consider three variables, with a sliding scale from ‘none’ to ‘the best’, you end up with an infinite variety of authors. To simplify matters, let’s go with ‘weak’ and ‘strong’. This gets us down to eight possible types of writers. If you’re in the latter line, fughhedaboutit as we used to say in the Bronx. But for all the other combination of the three P’s, we can all see a type of writer. Where do you belong? Where do you want to belong? What do you need to work on, because your entire package as an author is only as strong as your weakest area. These are not discrete entities. They all rely on each other. You have to consider that promotion is based on platform and product. Product is often based on the platform. If you have a platform you will most likely write a book mining that platform. There’s a degree of luck involved in promotion. Going viral. 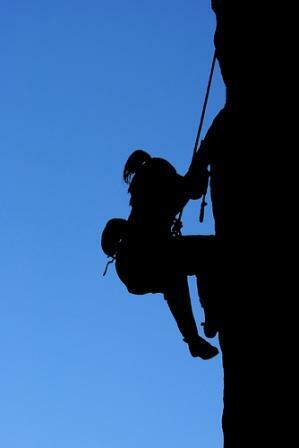 But luck goes to the person who climbs the mountain to wave the lightning rod about. It’s called hard work. One key lesson we’ve learned at Who Dares Wins Publishing is consistency and repetition of message is key. Slack off for a week, and fughhedaboutit. Product is the one you can improve the most by working on your craft. However, you can improve both platform and promotion, which many authors ignore. Become known as THE writer of that type of book. That’s platform. Promotion is often hard as the Myers-Brigg INFJ is labeled ‘author’ while the exact opposite, ESTP, is labeled ‘promoter’. We HAVE to get out of our comfort zones as authors. 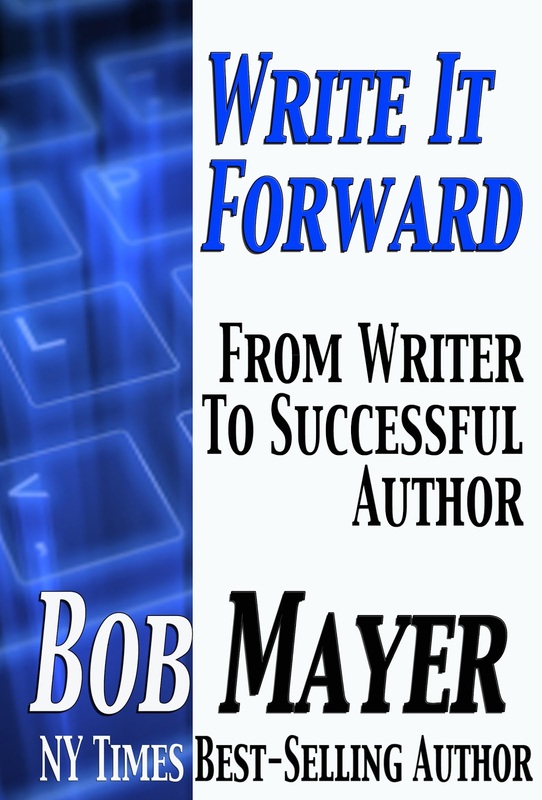 In Write It Forward I emphasize doing the opposite of your Myers-Brigs personality type. Get out of your comfort zone and into your courage zone. Ultimately the best promotion is a good book. Better promotion is more good books. The advent of social media is a boon to writers. We can actually do promoting from the safety of our offices. We Are Not Alone: The Writer’s Guide To Social Media lays out an excellent plan for that, but, as the author, Kristen Lamb, clearly writes, figure out your platform and your product (content) first. Too many authors leap blindly into social media and I watch 95% of them wasting their time and energy flailing about inefficiently. 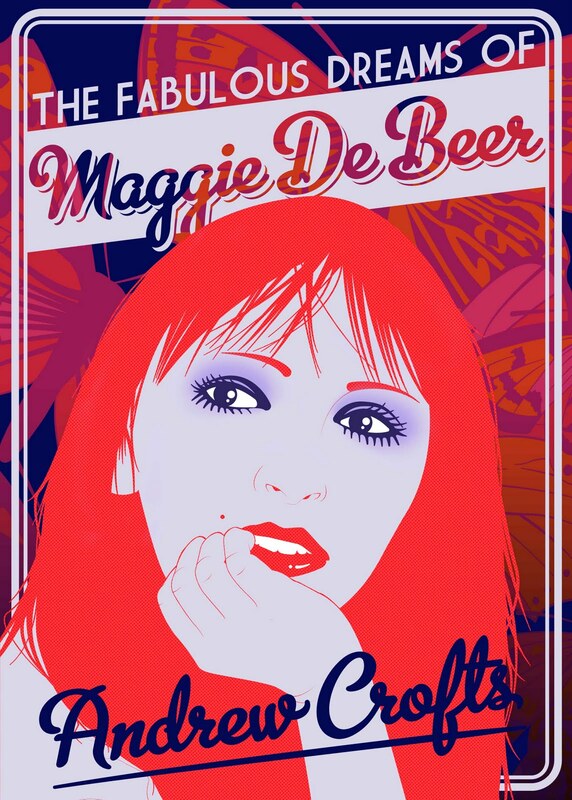 Small point she makes: do you have your book cover as your avatar on twitter? A picture of your cat? Fughhedaboutit. Read the book. Your head shot is your avatar because you are your brand. The bottom line is, as a writer, you have to evaluate yourself on the three P variables and figure out what type you are. Then approach the business accordingly, while at the same time, working hard to improve in those areas where you are weak. I apologise for my post this month going up late. I have acute Nanoitis. The symptoms are extreme forgetfulness, manic depression, singlemindedness, mental/writers block and an irrespressable urge to do nothing but eat chocolate. This year was different.I wasn't going to do it. I have too much on, and besides, I told my long suffering husband, Dave, I haven't a clue what to write. The only thing my muse has come up with is a short story written about twenty years ago which I always intended to expand on. That was it. "You've GOT to do it, he told me, "You have to make it three years running." Huh? What could I say. So I duly registered my title and started typing, making about five chapters out of the idea for the original story before getting stuck in the middle. "Put in a horse," said the helpful husband. Well, yes, in a post-apocalyptical world we're going to need horses, and if my heroine is to save the Earth she has to be able to get around. So that accounted for several more chapters and got me moving again. Between our annual Christmas shopping visit to Redwings Horse sanctuary (They have a lovely gift shop), caring for my own two beloved horses, and dogwalking etc., I'd slipped behind last week by about fifteen thousand words, and wondered if I'd ever catch up, but the lure of the promised Toblerone spurred me on and I'm now at just over 45,100 words. Will I do it? I have until midnight tomorrow to find out. It wasn't helped by my computer giving up this morning, but some cuss words and the 'system restore' facility (bless it) got it going again, eventually. The burning question is - what happens to the chocolate Toblerone if I don't make the finish line? Will He-Who-Thinks- He's-Obeyed eat it all in one go? Whatever happens, one thing I'm happy about is that by 1st December I'll have up to fifty thousand words (or possibly even more) which I didn't have before I started NaNo. And that's an achievement in itself so, chocolate or no chocolate, it will still have been worthwhile. I've just been whizzing round my local shops and have come home with a small treasure - two reels of Gutermann thread. We have at least six hairdressers, four shoe shops and a nail bar, but nowhere to buy threads, needles, fabrics etc (and I speak as a fabric junkie) so when someone told me that a tiny dry cleaners had bought in a range of Gutermann to fill the gap, I was there in a trice. Which makes me wonder - do shopping centres create people, or do people create shopping centres? Are all our prospective young dress designers and our knitting aunties and grannies now queuing up in the nail bar? This morning I read with great amusement a blog about the problems of using swear words when writing for children and Young Adults. It seems that at least one library in America refused to stock a book containing the word 'damn'. A way around this is to invent words that stand in for the real thing, but how offensive is the real thing? Most of our current swear words have lost any power to shock, mainly from over-use - the words I sometimes use to address my computer when it's playing up would have horrified my mother, but we do need a magic sound-weapon to use when things go wrong. When things go very wrong, I think multiple-word curses are possibly more effective. A curse can be personalised, and edited imaginatively, although I've been told that in some languages, the whole curse thing can be compressed into a single sound, akin to a swear word, as in: 'I will do an obscene thing to your sister in front of your mother in church' (which I believe might be Hungarian). In the past few weeks, I've been reading a trio of very different books, each one a delight. Penny Dolan's MOUSE, with its well-researched nineteenth century background and its clever, convoluted plot, was simply un-put-downable. It even grabbed my husband David, whose reading tastes are usually very different from mine. I enjoyed ONE DAY so much that I think I may pass on the film because the book invoked very personal images of the people involved, while Michelle Lovric's BOOK OF HUMAN SKIN had this human's flesh creeping at times - she's an amazing writer. Coming soon as an e-book (apologies for the TV cliche) - my 2001 time-slip novel based in both the nineteenth and the twenty-first centuries - TO SUMMON A SPIRIT, first published by Walker Books. The ideas in the story had been brewing inside my head for years, initially triggered by the ornate stones set randomly into front garden walls in my north London suburb - where had they come from? And the street adjacent to ours which always flooded after a lot of rain - did it want to return to being a lake? 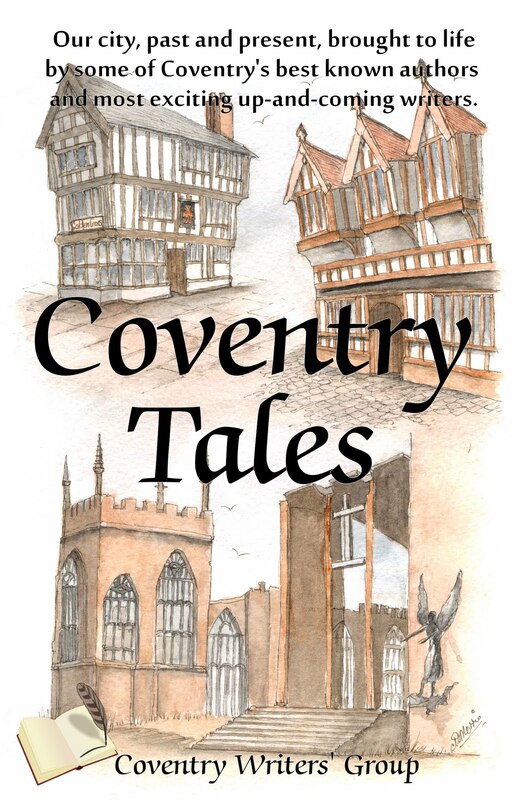 Writing this book took me on a fascinating journey into local history (which I then, of course, promptly subverted). The theme of the book was of an undying friendship spanning centuries, and one of the best personal reviews I received for it came from an eleven year old girl who said simply: I think you wrote this story for me. This month I was one of several ghostwriters filmed by Sky Arts for the Book Show. Back in the studio Mariella Frostrup was sitting beside Peter James, who is both a friend and currently one of the most successful crime writers in the world with his Brighton based detective, Roy Grace. What is less well known is that in 1994 Peter was almost certainly the first electronic author in the world and got a right bashing from the literary media as a result. He was, in other words, a prophet of the times we now live in. I first met him around that time and he tried to explain to me how Penguin were publishing his horror novel, "Host", on two floppy disks, (remember them?). It all sounded very interesting but I couldn't really grasp what he was so enthusiastic about. That is not the only interesting thing about Peter, of course. He is also a film producer, (he had then just lost a lot of money filming "Biggles" and went on to have much more success with "The Merchant of Venice" starring Al Pacino) - I believe I also remember hearing him give a lecture in a morgue, but perhaps that was a dream. Many of the grandees of publishing came out to say what a huge disservice he was doing the industry with all this screen based, electronic gimmickry. He was accused of attempting to kill off the novel and he got a good verbal clouting on Radio 4's Today programme, (I've had one of those myself so I know just how exasperating it can be). So I think it is now only right to give some credit where it is due. Peter James is the electronic publishing world's John the Baptist and if not canonised should at least be knighted. I have already written a little about how Mariella dropped me in it with both him and Robert Harris on the show, (see my blog at http://andrewcrofts.blogspot.com/ "Mariella Frostrup plays the mischievous minx" if you fancy a quick shot of schadenfreude). Also this month I put "The Fabulous Dreams of Maggie de Beer" up on Kindle as well as Smashwords, so I feel I have taken one more tiny step in Peter James's mighty shoes. Hi everyone - I'm Rosalie and it's great to be here. I love this blog and am delighted to be part of it. You people are all so inspiring and I'm hoping some of your talent, enthusiasm and expertise will rub off on me. As it's unlikely that most of you will have heard of me (though I know a few of you - hello! ), let me tell you a bit about myself. I'm a bit of a scattergun author, the kind who makes agents wring their hands in despair. Some would say I haven't yet found my niche, but I prefer to think that I'm not the kind of creature that is happy in a single niche - or at least, I'd rather explore a variety of them first, before making up my mind. I've been making up stories since the age of four or five. I wrote my first full-length novel at 15 and had a near-miss with a publisher when I was in my late twenties, but foolishly took this to mean I should give up. So I studied for my PhD and became a university lecturer. This, together with my family, didn't leave much time for writing novels, and it wasn't until 2006, when I took early retirement because of ill health, that I turned back to writing. 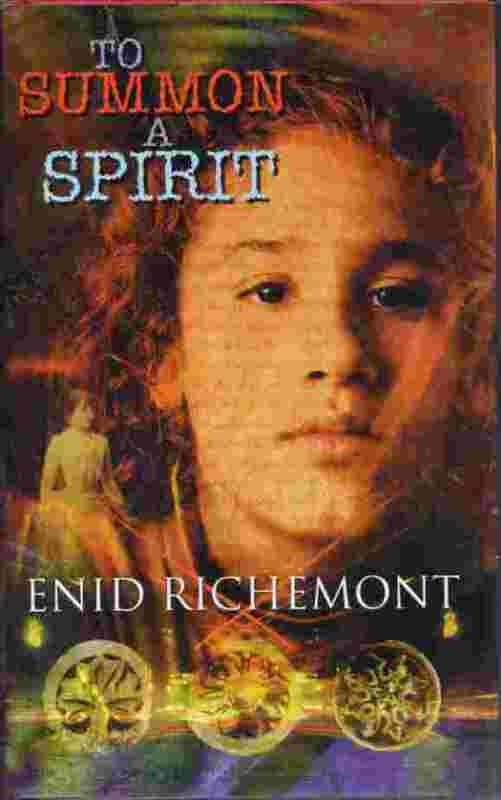 In 2008 I found an excellent small publisher, Circaidy Gregory Press, for my novel Charity's Child, which, although it has a teenage protagonist, was marketed a book for adults. Since the book turned out to appeal to older teens as well as to grown-ups, we have decided to reissue it as an eBook, this time aimed at 14+. Publication is planned for next March. My second novel to be published was Low Tide, Lunan Bay - a romantic suspense which found a home with Robert Hale in 2009. It's no longer in print and I'm considering republishing it as an eBook at some stage. 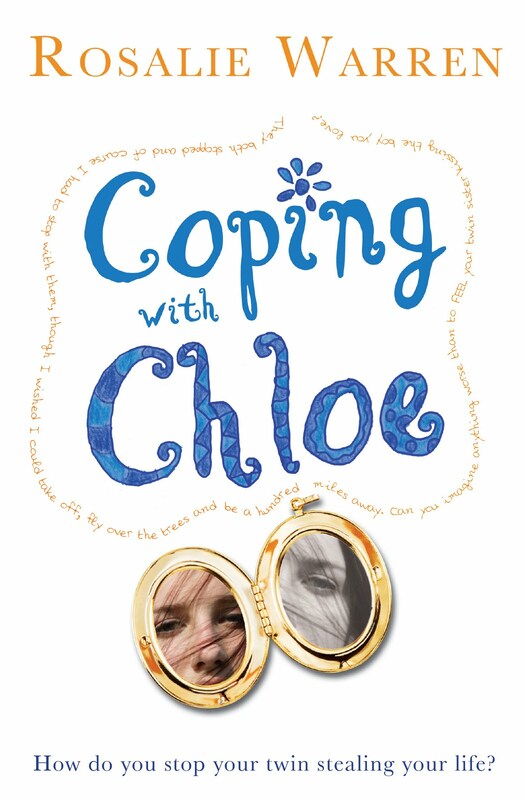 Earlier this year, my first novel for young teens, Coping with Chloe, was published by Phoenix Yard, and I'm now in discussions with them about a series for younger readers. I've had interest from another publisher in a further novel for young teens, which I hope will be the first of a series featuring youngsters who happen to have disabilities of various kinds. In my previous life I was a lecturer in computer science, but my real academic interests are cognitive science and artificial intelligence. I'm now trying to put some of that to work by writing a science-fiction novel for adults, set in 2104. If it fails to fit the bill of a publisher, I'll probably self-publish as an eBook - but I'm still in the middle of Draft 2, so it's a little early to say. And finally (you'll see by now what I mean about the scattergun approach), I've written a novella called Mondays with Marguerite, about a feisty woman with Alzheimer's who develops a friendship with her great-granddaughter over a year of Monday afternoon visits. There's no way, I'm told, that any publisher would take this on, at 40000 words, so I've decided to bring it out as an eBook next year. I'm really looking forward to drawing on the experience and encouragement of people in this group as I go ahead with this venture. But mostly, I'm just looking forward to getting to know you all. Thanks for having me on your wonderfully-named blog - I think this is going to be fun! You can find out more about me and my books on my wesite at www.rosalie-warren.co.uk. I blog at rosalie-warren.blogspot.com, and I'm on Twitter @Ros_Warren. 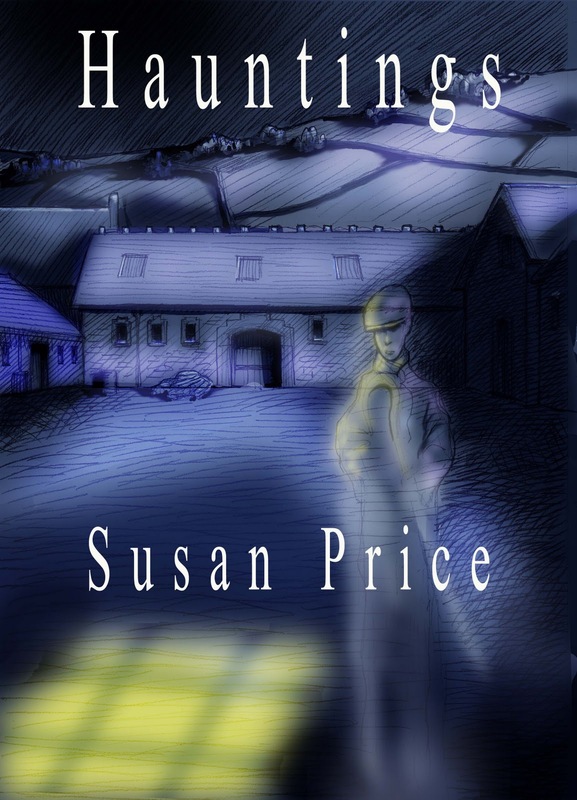 On Hallowe’en, I published my fourth and fifth e-books, the ghost-story collections, HAUNTINGS and NIGHTCOMERS. I’m getting into a working routine. I start by opening a file in Word 2010. I type in and centre the title and my name, then insert a page-break. I paste in the copyright details, which I have on file, and alter dates and names where necessary. I add a ‘Contents’ page. All my e-books have been previously published, so I take an old copy and rip it apart. I scan the separate pages into my computer using a free Optical Character Recognition programme (OCR). I click ‘convert to text’, and correct the programme’s near guesses – it almost always turns ‘wall’ into ‘wail’, for instance. Once a whole story or chapter is converted to text, I edit the separate pages together and add them to the book’s file. It’s tedious, but easier than typing out the whole book. While I’m doing this, my brother designs the cover, and we swop ideas and sketches by e-mail until we have something we’re both happy with. As I add to the file, I format as I go – centring titles and quotes, adding bookmarks and hyperlinks. At the end I paste in another standard page, with details of Electric Authors and my forthcoming books. Then I proof-read. I attach the file to an e-mail and send it, via Amazon, to my own personal Kindle. It takes minutes. I have the ‘master copy’ open on my laptop as I proof-read on the kindle, correcting every mistake I spot in the master-copy. Finally, I load the book up to Amazon Direct Publishing – and publish! 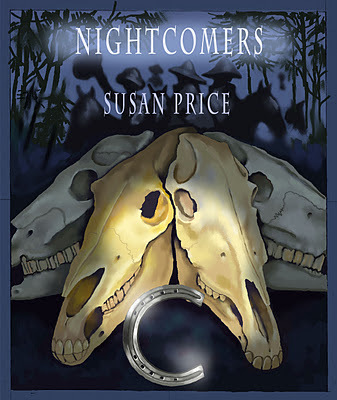 This all worked very well until I got to the proof-reading stage of NIGHTCOMERS. Then it all came to a halt – because I didn’t want to do it. I had so much else to do - preparing for another year as Royal Literary Fund Fellow at De Montfort, finishing the third Sterkarm book, roughing out the ‘next big novel’ (as my agent calls it). Washing up. Shopping. Laundry. And I was supposed to read this book again? I’d read it as I’d scanned it and converted to text. I’d read it as I edited the pages together. It was fine. Why not save some time, and just publish it? But no. I gritted my teeth, made a cup of coffee and told myself: Just Do It . On almost the first page, there was a big glaring typo. And in the Contents, the last story, Cold Silver, one of my best, didn’t have its teaser sentence. Or a hyper-link to take you to its beginning. I’d forgotten them. I was sure that I’d gone over and over the book, and it was all correct, and proof-reading was a waste of time, and – I was wrong. In the first story was a stray apostrophe – not even a grocer’s apostrophe, just one wandering loose by itself. There was also ‘arid’ masquerading as ‘and’. A note to self, and a warning to e-publishers everywhere: no matter how fed up you are, no matter how sure that it doesn’t need another proof-read before publishing – it does. To read a story from NIGHTCOMERS, click here. 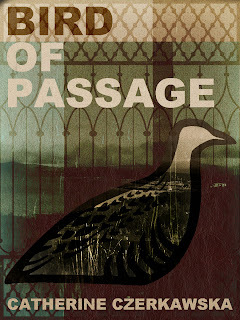 And my website, with other stories and extracts, is here. This is my first post for Authors Electric and I’m really delighted to be part of such an enterprising and exciting group of writers. Writing can be such a solitary path and it feels good to be part of a wider, collaborative endeavour. So how did I get here? How did I become a writer? And more to the point perhaps, a writer who is now e – publishing? By way of introduction, I often describe myself as ‘a writer on the run after twenty five years in prison.’ As you can imagine that raises a fair few eyebrows. Friends often caution against it, saying but people will think you’ve been in prison. Well, I say, they’d be right. I spent the best part of my working life at HMP Low Newton, a women’s prison on the outskirts of Durham City UK, where I worked in varying capacities from teacher to senior manager. I initially took the job on a temporary basis. I didn’t mean to stay that long but somehow the place, or more accurately the women, just grew on me. 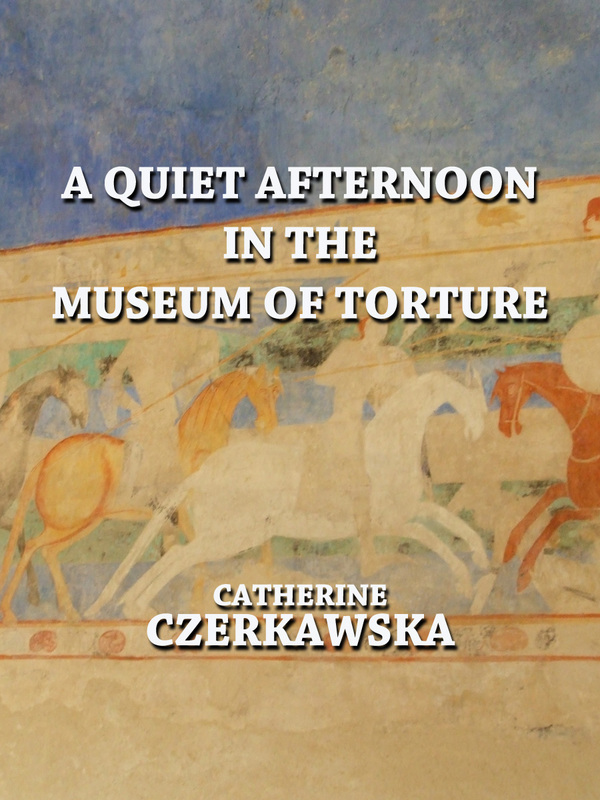 It was ever-changing, never boring; a fascinating if hidden environment in which to work but perhaps most remarkable of all, it was here in prison that I discovered I could write. When author Wendy Robertson was appointed by the prison Governor as a Writer-in -Residence we quickly became great friends. She worked a lot in my classroom and I joined the workshop she ran for the staff including prison officers and teachers. Wendy decided to publish a collection of the women’s work and asked me to contribute a piece about teaching and about women writing. After I gave it to her, with I might add, huge trepidation, she told me she thought I was a writer. I guess the idea grew from there. I’d been struggling for a lot of years with the desire to be creative and now suddenly and surprisingly I’d found what I was looking for and I’ve been incredibly fortunate in subsequent years to have Wendy as a friend and mentor. I learned so much from her and we did many exciting things together in the prison including holding a literary festival parallel to the Durham Book Fest, where writers came into the prison to speak to the prisoners who were writing and to our reading groups. I wrote my first novel The Sweet Track, subsequently published by Flambard Press, while I was still working in the prison– it pays homage to the beautiful and mysterious Somerset Levels where I grew up. By the time it was published I had an agent, I’d had two actually but that’s a long story, and had written my second novel The Orchid House. My agent is wonderful. I love her but things are tough in her world as well as the world of the writer and, despite her enthusiasm, she hasn’t been able to sell either of my last two books. After a recent roller coaster of elation and disappointment with my latest offering, a crime novel, I was beginning to lose heart. But then along came e-publishing and Kindle –just in the nick of time! It was actually my agent who suggested I go down this route and now I find my enthusiasm knows no bounds. I’ve had some wonderful feedback on The Orchid House - my first Kindle publication and I’m now very excited about getting my prison stories out there in a series Beyond The Mask - the first When You Hear The Birds Sing is out now. Next year I plan on publishing more stories and my crime novel. Now that I know there’s an audience for my work and it won’t just moulder away in a drawer or remain out of sight in a file on a hard drive, I am full of writing. I’m excited again and enjoying what I do, and loving what you do seems to me to be the key when it comes to writing. Although I’ve escaped from prison now, there’s barely a day that doesn’t go by that I don’t celebrate my new found freedom - especially the freedom to just sit and write and I don’t forget the women behind bars many of whom are victims of crime themselves. I hope that my prison stories, as well as entertaining and engaging readers, will contribute to making their hidden lives more visible. Of course publishers have been known to say that readers are simply not interested in these difficult lives or in prison stories (unless they're some kind of Bad Girls or Prisoner Cell Block H Hype). As I'm sure you've gathered I disagree and I'd been interested to know what you think. After all, isn't this the great thing about e-publishing: many more options for writers and readers? What I like to think of as the new democracy. where 'f' is Your Fame and 'b' is Blind Luck. This is, as I'm sure you know, a law so entrenched it makes gravity look optional. And, of course, it isn't news. There are ancient scrolls discovered in underwater caves beneath jurassic sediment which contain fresher information. So why bring it up now, and make writers everywhere weep quietly into their el cheapo wine? Because this is the time of year when I always read a number of blogs and articles expressing this truth as if it was some kind of sudden, horrific revelation. I blame Christmas. Writers everywhere watch the bills pile up, and their bank balance empty faster than the Greek economy, and then they switch on Radio 4 as a way to dull the pain only to find some b*&%$£* celebrity plugging their latest b*&%$£* cookery book. We watch the same names win all the awards, fill all the bookshelves, get all the attention, while we quietly tap out works of towering genius which slide inexorably into the void no matter how hard we try to prostitute ourselves for a little media coverage. I'm as guilty of teeth-grinding jealousy as anyone. Every time I go into a bookshop and see nine metres of shelf space taken up in the C section of the alphabet by the same three books, I curse Eoin Colfer, his publisher, and all the staff who've ever worked in that shop, ever. I know I shouldn't. I've never met Eoin Colfer, I'm sure he's a lovely bloke, but as I stare at those shelves and wipe away the tears, I just can't stop feelings of bitter, twisted agony screaming out "O Waterstones, couldn't you stock ONE less copy of Artemis Fowl, couldn't you put ONE copy of my hilarious masterpiece Pants On Fire on display?" I get over it, in the end. After a good cry and a piece of cake. And then, I get to realise how lucky I am. I'm a professional writer. I've got a job some people would kill for. OK, I'm an almost penniless professional writer, but I'm my own boss, and I get to do something creative with my time, AND I can look quite cool at social functions next to all those accountants and management executives. I just have to put up with poverty, obscurity and a gnawing sense of envy, that's all. It's a lifestyle choice. And I ask myself: would I really want all the hassle that notoriety brings? Would I really want the pressure to produce mind-numbing identikit Tesco-fodder all the time? Would I really want the exhausting tedium of ill-informed journalists asking the same stupid questions ad nauseam? Of course I bloomin' well would!! WHY AN E-BOOK? WHY FOR KINDLE? WHY NOW? This is Bonnie, the heroine of my novel, Midnight Blue, passing from one world to another, leaving behind her old life. And today - launch day for Midnight Blue’s 21st Anniversary edition - I feel much as she might have done, wondering what lies ahead, what I’ve let myself in for and why. Twenty-one years ago, Midnight Blue was launched into a very different world where Amstrad computers were the latest thing and e-books were little more than a dream. 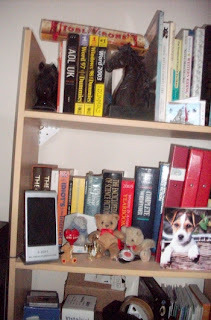 E-books –who’d want one of those when they could have the real thing? Midnight Blue was available in shops everywhere. It had a brightly-coloured jacket to catch the eye and was well displayed, you could hold it, turn its pages - it looked good. But it doesn’t look so good now. Twenty-one years later, and the Midnight Blues on my bookshelf are yellow with age and what once was a nice, papery, bookish smell has taken on a slow but inexorable mustiness. Recently on Amazon I saw a first edition hardback Midnight Blue retailing for £101. Looking for something cheaper, I found the original paperback, unused, going for £70. This, as you can imagine came as a shock. It certainly makes my new crisp e-book, which will never turn yellow and begin to smell, a bit of a snip at £2.99. Sure, there were cheaper Midnight Blues for sale on Amazon too. But they weren’t new. Whatever their condition, all of them were used. So, three reasons in one go as to why an e-book: 1] It isn’t going to rot, 2] It’s cheap, and 3] The buyer always gets it brand new. And there’s a fourth reason too - the one which appeals most to me personally; 4] like Bonnie in her smoke-filled, magic hot air balloon, Midnight Blue is launching into the unknown. It can go anywhere. It isn’t tied to the fads of reviewers, the whims of booksellers or the fashions of the day. It doesn’t have to fight for bookshelf space. It doesn’t have a print run, a shelf life, a cut-off point. For as long as I want, it will be out there somewhere in the wide world, finding its own readers, making its own way. What author wouldn’t want that for their book? A number of articles I’ve read this year have described 2011 as the Year of the Kindle, and I tend to agree. With free downloadable Kindle software, Amazon is making e-books from the Kindle Store available not just on their own reading devices, but on Macs and PCs, iPads and iPhones too. At the press of a button, I already have the Kindle version of Midnight Blue available to read on my iPhone. Soon I hope to have Midnight Blue for sale in the Apple Store too, but the answer to why Kindle is that it appeared to me the quickest way to get my book into the greatest number of places in one go. Midnight Blue has had a wonderful life, translated into a string of languages and published all round the world. Only recently on a school visit, I met Chinese children who had read the book in their own language back in their schools in Hong Kong. Twenty-one years after its publication, there certainly are things to look back upon and celebrate – and they go right back to Midnight Blue’s November 1990 Smarties Grand Prix win. All those years ago, I stood on a platform at the Barbican, trying to put into words how it felt to beat Roald Dahl, Andrew Davies [Middlemarch, Pride & Prejudice – you know, that Andrew Davies], Gene Kemp and all sorts of other amazing, established authors, with my first-time novel about a frightened child who runs away in a hot air balloon. There were no words to do justice to my feelings back then, and there aren’t many more now. But it’s great to see Midnight Blue engaging with a new generation and finding new ways to be read. But there’s another answer to why now, which has nothing to do with the past and everything to do with the world we live in now and the need to take control. Midnight Blue isn’t just being launched today as an e-book. It’s being launched by me. There’s an incredible freedom about bringing out my own e-book. I’m the one who makes the choices, not anybody else. Increasingly over the years my freedom as an author to determine my own direction has been taken away. Marketing is king, and any attempts by me to do the best for my books have been lost in the rush. But not this time. This time it’s just Midnight Blue and me. This has been my chance to step back, take stock, make the right decisions for my book and put them into practice. Every aspect of Midnight Blue’s new e-life, from content and artwork to marketing and PR, is in my hands. If I fail, I’ll be the one who has to take the rap. But if I succeed, and Midnight Blue finds a whole new generation of young readers, I’ll be the one who made it happen. And I’ll have done it my own way. ‘No,’ I said. ‘It's research and imagination.’ He looked a little disappointed. I now have an arsen al of rather wonderful faked experience. Just as you never forget how to ride a bicycle, I’ll never forget how to fly a plane, microlight, glider, hang-glider, helicopter. Or handle guns. Or hotwire various vehicles. I’m a dab hand with plastic explosive. I can make you believe I’ve abseiled out of helicopters into thin air, tracked assassins through jungles and India’s most impoverished slums, humanely killed a fatally wounded rhino and inhumanely despatched drug bosses. And done a whole rainbow of hallucinogenics. After all that, hypnotising someone in an underground theatre is child's play. I often run writing classes and one of the first things I ask my students is why they are writing, is it for pleasure or do they want to get published. Most of them say they want to get published. I ask them this because I think it's vitally important, especially when writing for children. If you're writing for pleasure then you can write what you want, you don't have to fit in with the current market or obey any rules. So all I need to show them is how to hone their work, to make it more concise, to cut out the clichés, the repeated phrases, the unnecessary words and ensure they have the language level right for the age group. 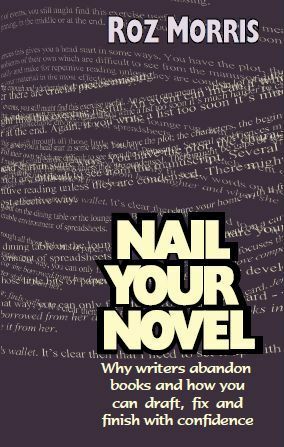 If you're writing because you want to get published it's a different matter. Especially for children's books. Then you have to think about lots of different things before your book even gets to your target reader. Things like the length of your story (many publishers have set word lengths for different age groups), where it will fit in the publishers list (if they’ve already got a series of books about a doggy detective they won’t want another one), current market trends (vampire books are so 2010) to name just a few. A well-written, gripping space adventure story can be rejected simply because the publisher feels there are enough space stories about. 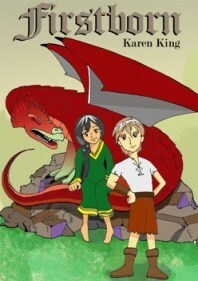 This is what happened to my children’s fantasy, novel Firstborn. Despite glowing comments from several publishers this was rejected time and time again because, I was told, there were too many dragons stories about. So I decided to e-publish it. Now, I’m a traditional author at heart and think that there’s nothing better than curling up in your favourite armchair with a bar of chocolate and reading a book. I love the feel of a book in my hands, looking at the cover, reading the blurb, turning the pages. But sometimes there’s a story bursting in you that you simply have to write and the beauty of e-publishing is that now you can write it, and publish it even if it isn’t what traditional book publishers are looking for at the moment. Which is brilliant, because as authors we want our stories to be read and enjoyed and now we have another way of doing that. Which begs the interesting question: what books do people want to read? Possibly as many kinds as there are readers. You probably won’t find celebrity or sporting memoirs in the mid-list. A mid-list novel isn’t a blockbuster or a bestseller although many bestsellers used to come from the fertile ground of the mid-list. These were called breakthrough novels. After publishing several interesting and well written books, an author who had built up a modest following among the reading public would suddenly write a book which ‘took off’ and made him or her (and the publisher) quite a lot of money. You’ll sometimes find prize-winning novels on the mid-list, but although prizes help to boost sales, they are no guarantee of a bestseller, unless you’re talking about the Booker or similar. Now, conventional publishers tend to strive for certainty. After a few underperforming books – and the bar is raised ever higher in terms of sales - a mid-list writer will often be dropped and as a result will find it very hard to be conventionally published again. The harsh truth is that it is better by far to be a debut novelist with potential than a middle aged one with a mid-list track record. The mid-list may encompass everything from good, well-written genre fiction to novels which some would judge to be literary, but not wildly experimental, with a very great deal of interesting and readable work, both fiction and some non-fiction, in between. A writer may find him or herself at the popular or literary ends of the mid-list and I suspect that many of the ‘literary’ novelists of previous ages would find themselves well and truly mid-listed now. Every area of creativity has a fertile centre ground. Lots of pieces of work of varying degrees of quality and popularity will grow there, but nobody seems to be able to predict exactly which of those works will suddenly achieve star status. If all these celebrity, sporting and political deals had done as well as predicted, publishing would not be in such an allegedly parlous state and bookshops would not be going out of business. Success in the arts is tricky and audiences are (as any playwright knows) strange, variable and fickle. Nobody has yet managed to come up with a magic formula for pinning them down. Until now, writers doomed to mid-list shame have tried hard to hide it, either by striving vainly to escape from the label, or pretending that they belong elsewhere. But the relentless erosion of the midlist seems to have had the effect of destroying the fertile ground within which genuine success might be nurtured. This is what it's like to be a mid-list author! This is one of the reasons why so much of the mid-list seems to have shifted to eBook publishing. Newly empowered mid-listers – many of us well published, but with a backlist of ‘not quite commercial enough’ novels, stories and/or non-fiction - are reclaiming our lost territories and I think we need to stop apologising for writing the kind of books people want to read, even if they may not want to read them in hundreds of thousands. My unashamedly mid-list new novel will be published not too long after you read this post, in good time for Christmas. I’ve blogged about it already. 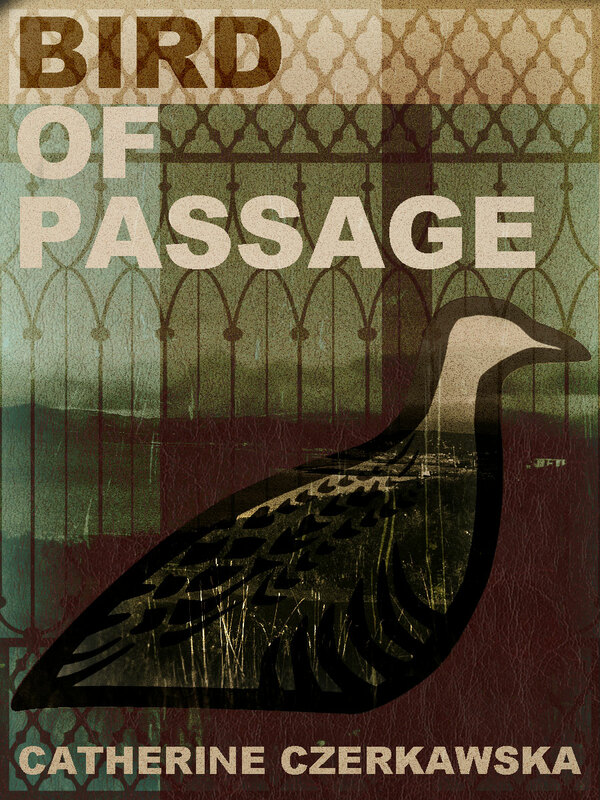 It’s a book called Bird of Passage, with a cover by a young and talented digital artist (better known for working on video games) called Matt Zanetti. It has been through several incarnations and in many ways, the gatekeepers were right about those early drafts. The version of it sent out all those years ago wasn’t right and the feedback received was invaluable. I worked on other things, but I was drawn back to it time and again. Gradually, over many rewrites, the whole focus of the novel shifted, so that one of the characters became much more central. It’s a love story, for sure, but it’s an obsessive and difficult kind of love with more than a glance at Wuthering Heights along the way. Matt’s cover seems to be a pretty accurate reflection of the loneliness, the mental imprisonment, and the buried suffering of the ‘hero’ – if hero he can be called. The bird, by the way, is the mysterious corncrake, as well as the hero himself. So it’s a new and different novel, with a new title, but because the old version had been sent out many years ago and (rightly) rejected, I was told that there was no way the new version could be sent out again, no matter how different. I think that’s the dead hand of mid-list thinking at work with no leeway for change and development. Which is why I’m so thankful for the eBook revolution. I’ve grown very fond of this book and these people, especially Finn. I’ve lived with him for a very long time, my Bird of Passage. And in due course, I’d be delighted to get some feedback on the novel from anyone who thinks they might enjoy reading it. Yeast, Lasers and too many Words! I’m trying to finish a book. It has to be delivered at the end of Nov and I realised about a week ago that it wasn’t about what I thought it was. Not good. Yes, my characters will be doing roughly all the things I first thought they would but the heart of the book, the real centre is something far less dramatic than the all guns blazing sort of tale I thought I was writing. What I really want the reader to focus on is a much quieter tale about one man’s now ancient mistake and the, I suppose you’d say professional coming of age of a very young police officer. Now I’ve finally spotted this, it all makes perfect sense! – just wish I’d noticed sooner; that would have saved a whole heap of rewriting. 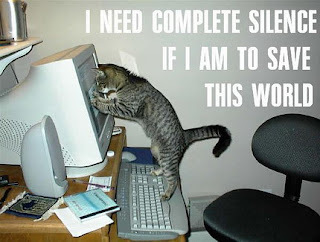 Sometimes I get so sick of words, especially towards the end of writing a book. It feels like there’s a daily supply or a daily tolerance level over and above which I just don’t want to know. I don’t even want to read! So, displacement and replacement activities move in to fill the vacuum – apart from watching rubbish on the television; always an attractive option at the end of a long day of word wrangling. We’re all keen bread makers in our house. Well, my son and I are keen bread makers, my husband is a keen eater of said product. Last month we decided we’d have a go at making wild yeast bread. Our culture comes from our apples – Yeasts are everywhere. We’ve fed it and hugged it and called it Clive – no, really, we have. Clive is thriving and we’ve now got a reliable sour dough culture that takes about five hours to rise but makes great bread. 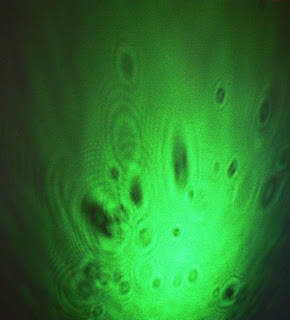 We’ve also been playing with lasers. Having read somewhere – wonderful thing, web browsing – that if you passed a laser beam through a drop of water and project said laser onto a screen you can see the little critters living there, we just had to try. The results and pretty amazing and one of our pictures is below – if I’ve uploaded it right. And yes, I know it would be easier using a microscope, but hey, this is much more fun. Christina Rossetti - and a Lot of Luck!